Oby is the author of "Nfudu: Skirts, Ties & Taboos" and "Hazel House". Her writings incorporate her favorite things: fashion; travel; business; humor; mystery, and strong female protagonists. 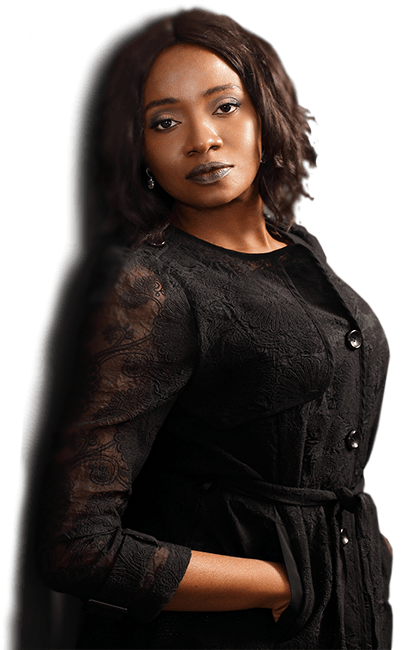 She devotes time to helping the less privileged mainly through her charity Éclat Beginnings. Talented fashion designer, Phina Campbell and her beloved husband, Patrick, a movie producer, live in the magnificent Hazel House, situated on a hilltop forty-five minutes outside London. With Phina’s beauty and the massive fortune she inherited from her father, everything seems to have been handed to her by fate, but her keen mind and business acumen keep Ophinas – her luxury retail company – a cut above the rest. Phina and Patrick lead an enchanting life, and with high-powered friends and everything money can buy, their lives are never short of excitement. When a dead body turns up in a hotel room in Barcelona and a letter exposes a dark secret, some truths about their extraordinary lives begin to unravel. As more people are drawn into the puzzle that Phina’s Private Investigator is piecing together to solve the murder, they soon realize they are dealing with an opponent far more ominous than they ever imagined. 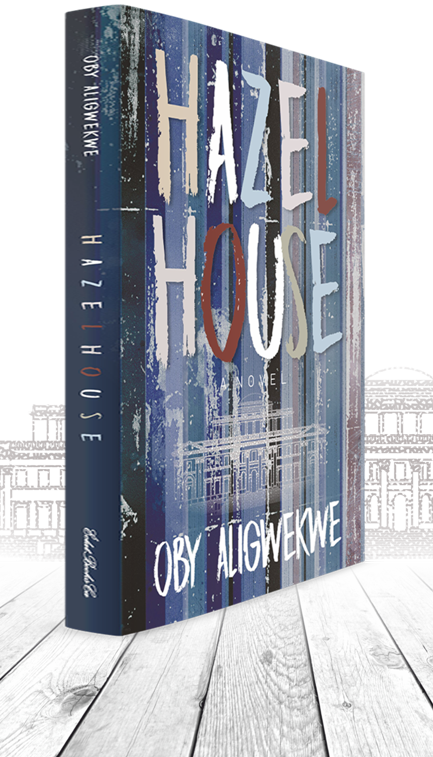 Filled with treachery and intrigue and delivered in a thrilling narrative that takes readers from London to Lagos to New York, Hazel House paints a vivid portrait of how the needs of humans collide amidst unimaginable wealth, intense desire and the quest for power. Soon after arriving in Paris in 1963, Nfudu launches a heart-rending secret affair with her best friend’s attractive father – Javier. But, her father rejects Javier because of his race. When she meets Ikechi – a striking London financier, Nfudu’s bond with Javier is tested. Ikechi seems like the perfect match, but a grim revelation about his ‘caste’ forces Nfudu’s father to defend his honor. In this debut novel, the author intricately weaves plots of love, war, crime, hatred, ancient taboos, and a clash of civilizations, then merges these into one powerful story. Get Notified Of Upcoming Promotions! "this book has excitement, mystery, passion and is a real page turner. I wondered how it would end & when it did, I wanted more!!!!!!" Be one of the first to receive our offers. We will send it right to your inbox after your email address is verified! This book is a must read! An intricately woven plot of love, romance, war, betrayal, taboo and business. It takes you on journey from a rustic village to the high streets of fashion in Paris and London. A girl's journey to success through determination and vision. This book is fantastic. 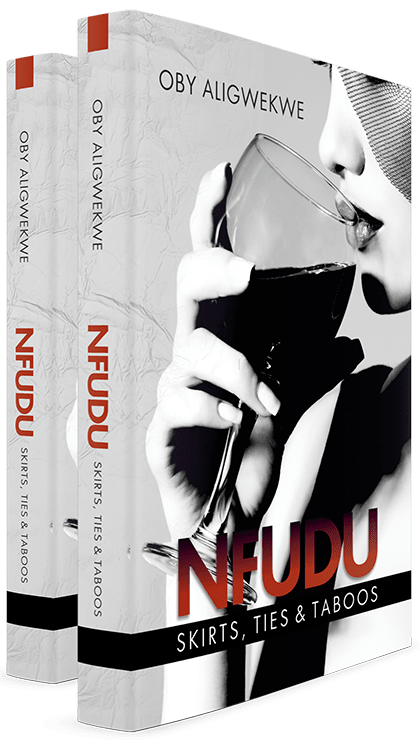 “Nfudu” takes you on a journey across continents, captivating and immersing you in the lives of the characters. The book left me at the edge of my seat until the very last page. It expertly and intricately explores the connection between these characters and masterfully delivers a story infused with love, betrayal and its clash with cultures. A must read for anyone that loves a great book! Nfudu is a very good read. It is well written and resonates with one who comes from a familiar background.Tells of the struggles faced by inter-racial and inter generational relationships in the sixties. It captivated me. A real page turner. Cannot wait for another book from this author. 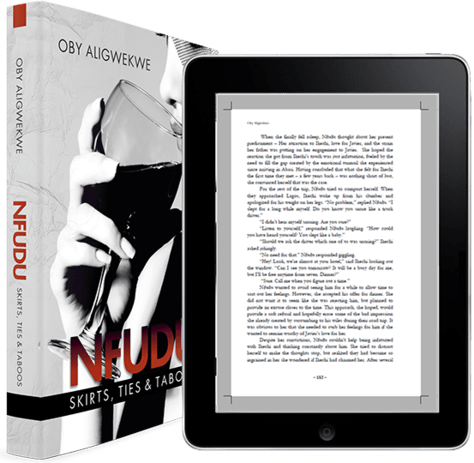 Watch the trailer for Oby's latest book “NFUDU - Skirts, Ties & Taboos"